The all new GiPro-X is a Gear Position Indicator that will fit ALL motorcycles and vehicles which have an electronic speedometer (either analog or digital readout). Due to a modern processor and sophisticated firmware, the GiPro-X offers faster and more reliable readings than comparative products. "I've fitted a gear indicator to most of the Benellies I have owned and they work no problem. (Acumen, Datatool, Koso, etc.) 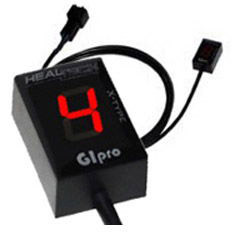 However, the one that I like the best is the GiPro X-type from Heal-Tech. This is smaller than all the others but it doesn't suffer the same lag time before it displays the current gear." Fully compatible with other electronic devices such as Power Commander, Bazzaz etc. Measuring just 30x20x13mm (HxWxD), it is one of the smallest, most compact gear indicators available, making it easy to mount at the instrument cluster. The unit is available with a highly efficient display in Bright Red, Cool Blue (normally available from stock) or White, Green or Yellow (available to order within a couple of days). It features a simple and clear front face which goes along nicely with the factory instrument cluster. The product is rugged, 100% weatherproof and comes with 2-year replacement warranty. The module is auto learning, there are no buttons and no programming wire. Just go through the gears and you are done. 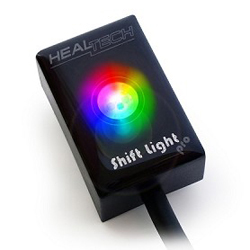 A Programmable Shift Light function as well as High Speed Warning feature is included. You won't find this feature set in other products. GiPro-X is rugged, 100% weatherproof and comes with 2-year replacement warranty. 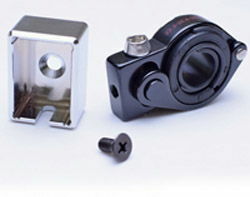 For all bikes without electrically driven speedos as standard (but which do have an electrically/electronically driven Tacho/Rev-counter) the GiPro Wheel Speed Sensor (WSS-Type) comes with a magnetic pickup convertor included to provide the electrical pulse required to activate your gear indicator. Please note the WSS units are universal and not model specific, but installation has been made as simple as possible. !quote, electronics, naked, faired, 95, 96, 97, 98, ,99, 00, 01 ,02, 03, 04, 05, 06, 07, 08, 09, 10, 11, 12, 13, 14, 15, 16, 17, 18, 19, 20, 1995, 1996, 1997, 1998, 1999, 2000, 2001, 2002, 2003, 2004, 2005, 2006, 2007, 2008, 2009, 2010, 2011, 2012, 2013, 2014, 2015, 2016, 2017, 2018, 2019, 2020! 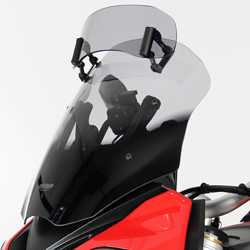 This optional accessory is the best way to mount your GIpro DS or X-Type on the handlebar. !63067, 63066, electronics, gi, pro, gipro-m, bk, cr, clamp!